Powder are use for hydrostatic testing applications, VCI Masterbatch, Anti-Corrosion Coatings, VCI Lubricants, VCI Fingerprint Remover-MIL-C15074D, VCI ArmKleen-MIL-C-372C & MIL-63460B, VAPPRO 800 VCI Degreaser, VCI Gel, VCI Rust Remover, VCI Rust Converter, VCI Chips, Rust Converter, Rust Remover, VCI Rust Remover, VCI Liquids, VCI Pouch, VCI Pouches,VCI Pak, VCI Penetrating Oil, VCI Lubricating Oil and other VCI Corrosion Inhibitors are designed for corrosion protection of all type metals and are RoHS Compliant, conforms to military specifications & bears the Nato Stock Number. 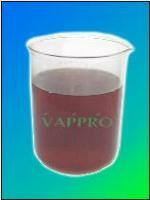 VAPPRO 841 VCI POWDER is use for hydrostatic testing using fresh water. VAPPRO 844 VCI POWDER is use for hydrostatic testing using salt water. VAPPRO 848 VCI POWDER is use for fogging of pipes, tanks and voids. Preserve your equipments from corrosion with VAPPRO ASSETS PRESERVATION SYSTEM. The most advance and comprehensive approach to corrosion preservation. INCREASE YOUR PROFIT MARGIN WITH VAPPRO VCI MASTERBATCH ADDITIVE. VAPPRO 1000 VCI MasterBatch is a specialty anti-corrosion PE Additive. The primary function of this VCI MasterBatch additive is to provide anti-corrosion properties in PE film. In addition, this MasterBatch can also be used to produce VCI Bubble Wrap, VCI Foam and other packaging materials. VAPPRO VCI MasterBatch provides corrosion protection for all types of metals. 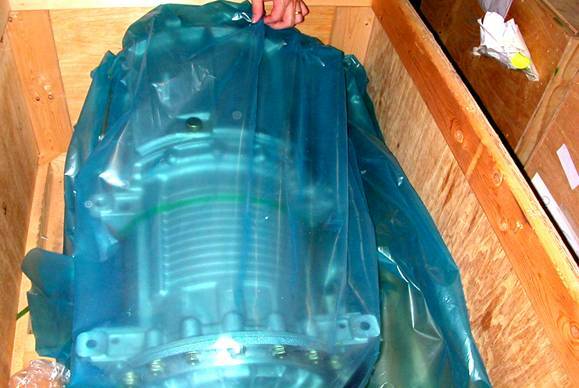 The automotive industry, steel industry, Marine Industry and the military are some major consumers of VCI protective packaging materials to prevent their metallic parts and equipments from corrosion especially during shipping and long term storage. Magna Chemical Canada Inc. is now making this VCI Master-Batch additive available to all plastic extrusion companies domestically & internationally. We provide full technical support to all our customers to ensure their success in the production of VCI film. VAPPRO 820 PAK breathable pouches, containing vapour corrosion inhibitor, are made from Tyvek® material (Du Pont's name for its range of spun bonded polyethylene fibre structures). Vappro 820 Pak pouches are strong, water resistant, chemical resistant, lint-free, abrasion resistant and have good dimensional stability. Its clean packaging assures elimination of contamination, and its virtual continuous fibre under normal conditions produces no free lint. VAPPRO VCI Pouch breathable pouches, containing vapour corrosion inhibitor, are made from Tyvek® material, Du Pont's name for its range of spun bonded polyethylene fiber structures. It is 100% nitrite-free and does not contain phosphate or heavy metals. VAPPRO 826 VCI Film offers protection for aluminum alloys, brass and copper while providing excellent protection for ferrous metals like steel, iron, stainless steel & more. VAPPRO 826 VCI Film are excellent for packaging auto-parts, bearings, motors, mining & marine equipments, industrial machineries as well as military hardware. 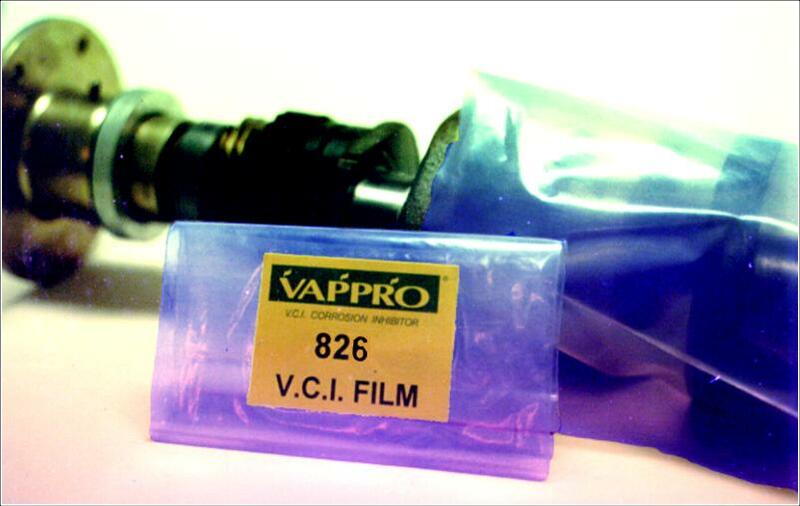 VAPPRO 826 VCI Film bears the NATO STOCK NUMBER # 6580.32.076.1091.VAPPRO 826 VCI Film conforms to MIL-B-22019C & Mil-PRF-22019D. 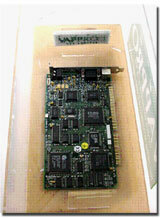 VAPPRO VCI FILM Products are RoHS Compliant. 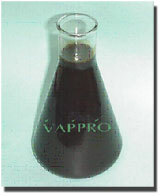 VAPPRO 1000 VCI MASTERBATCH is a linear low-density polyethylene VCI masterbatch additive. 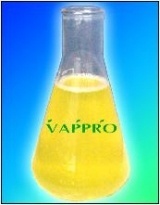 It contains a proprietary formulation amd is used as a masterbatch additive for the production of VAPPRO 826 V.C.I. Film. It is safe and does not require any changes in the manufacturing process.The let down ratio for VAPPRO 1000 VCI MASTERBATCH is one of the lowest available in the industry. VAPPRO MBL VCI Flexo-Green is a concentrated Vappro Corrosion Inhibitor liquid additive, specially developed for corrosion control in high humidity and high salinity environments. VAPPRO MBL VCI Flexo-Green is used as a corrosion inhibitor for paper products. VAPPRO MBL VCI Flexo-Green VCI additive enhances the performance of your product line and does not contain nitrites, hydrazine, molybdates or heavy metals. Vappro's revolutionary VCI technology is an environmentally safe alternative to traditional corrosion inhibitor formulations. VAPPRO MBL VCI Flexo-Green can be easily formulated into your product to give corrosion protection capabilities. Vappro VCI are self-replenishing for uninterrupted protection through Vapour phase, Interphase and Direct Contact protection. It gives your products added market value without drastically increasing your costs. Your customers will be able to protect both ferrous and non-ferrous metals, simply by purchasing your VCI enhanced products. VAPPRO 837 VCI LIQUID is a colourless water-based vapour corrosion inhibitor specially developed to replace conventional oil inhibitors. Coils, stacks and sheet metal protected by Vappro 837 are always ready for use. There is no cleaning or degreasing required on metals that are protected by Vappro 837 VCI Liquid (minimizing trade effluent discharge). 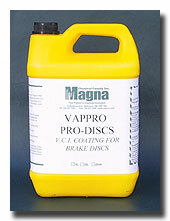 Vappro 837 VCI Liquid does not interfere with sensitive lithographing or painting processes of the protected metal. 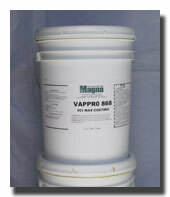 VAPPRO 855VAPPRO 855 is a light brown anti-corrosion oil blended with solvent. It is a mobile liquid possessing excellent water displacement properties. On evaporation of the solvent, it deposits a soft film, which affords a high degree of protection. Offers perfect protection during storage periods. Also recommended for the protection of sheet metal panels, where the residual greasy film can serve as a mild pressworking lubricant. VAPPRO 870CB Electro-Spray's dual functionalities simplify the maintenances of electrical and electronic systems. It cleans and protects in one application. It has high heat resistant, excellent UV and water displacement properties. VAPPRO 888 S- Kote withstands higher temperatures for longer periods than any other similar product and drastically reduces repair and maintenance cost. It is easily applied by brush and requires only minimal surface preparation. When applied to cold surfaces, it will dry to the touch within 3 hours after application. When applied to hot surfaces, it will skin over within 1 hour (this method is not generally recommended, as it is not possible to achieve the required minimum film thickness). 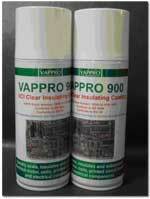 Vappro 900's clear VCI coating allows visual inspection of insulated parts. It provides extremely good protection in harsh and corrosive environments such as in the presence of acids, alkalines, saline solutions and solvents. VAPPRO 9000 is an acrylic based corrosion inhibitor developed as a complete replacement for oil based rust preventives. VAPPRO 9000 aqueous solutions are heat stable. VAPPRO 9000 is designed to be removed with conventional alkaline cleaners but, in many instances, it can be coated over with paints and primers without removal. VAPPRO 9000 is made from Acrylic Copolymer emulsion with a mixture of non-toxic organic inhibitors. The VAPPRO 9000 formulation offers unprecedented advancement in outdoor corrosion protection. It successfully provides up to 24 months of protection in harsh, outdoor unsheltered conditions. VAPPRO 9000 is non-flammable weldable, biodegradable and has excellent salt spray resistance. It provides a fast-drying, clear coating and a non-flammable protective barrier that allows visual inspection of the metal surface after application. VAPPRO 9837 is a VCI Water Base Emulsion Corrosion Inhibitor specially developed to replace conventional oil based corrosion inhibitors. 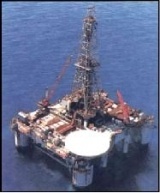 VAPPRO VMC provides optimal corrosion protection and U.V. resistance for up to 24 months, for ferrous and non-ferrous metals exposed to challenging outdoor environments. VAPPRO VCI Roll Coat is a solvent based brown free thixotropic flowing liquid corrosion inhibitor. The residual film after solvent evaporation is highly resistant to salt environments making VAPPRO VCI Roll Coat particularly useful in marine, industrial, and offshore rust proofing applications. VAPPRO VCI Roll Coat provides optimal corrosion protection for up to 12 months, for ferrous and non-ferrous metal. VAPPRO VCI Roll Coat is great for shipping purposes. VAPPRO TRC is an oil-based thixthropic VCI corrosion inhibitor, with rust-proofing coating. This VCI coating is highly resistant to salt water, making VAPPRO TRC extremely effective in rust proofing all types of automotive vehicles. VAPPRO TRC is specifically engineered to withstand extremely corrosive environments such as road salts and other corrosive materials. 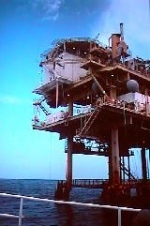 It can also be used for marine, industrial, and off-shore rust proofing applications. 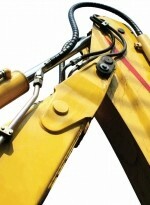 VAPPRO TRC also works well as a coating for heavy equipment. VAPPRO 01 VCI is a vapour corrosion inhibitor impregnated foam. This VCI foam emitter is particularly suitable for corrosion protection of enclosures holding electrical gears, relays, contactors, switches, electronic assemblies and connectors. VAPPRO 05 VCI Foam Emitter is a vapour corrosion inhibitor impregnated foam. This V.C.I. foam emitter is particularly suitable for corrosion protection of enclosures holding electrical gear, relays, contactors, switches, electronic assemblies and connectors. VAPPRO 50 is ¼" in thickness and 6 feet in length per roll. VAPPRO 50 comes with self-adhesive backing tape and provides up to 2 years of continuous protection for all metals. VAPPRO 50 is designed to protect metal products, electrical components, or parts when enclosed in non-ventilated housings, control boxes, or other enclosures. VAPPRO 70 is designed to protect metal products, electrical components, or parts when enclosed in non-ventilated housings, control boxes, or other enclosures. They provide corrosion protection for multi-metals within up to 150 cubic inches. The inhibitors, through volatilization, counteract the corrosive effects of humidity, salt and pollutants on packaged iron, steel, aluminum, copper and brass surfaces - without compromising any of their mechanical or electrical properties. VAPPRO 869 can also be added to lubricating oils to improve corrosion resistance. Its tacky film provides good lubrication for moving and sliding parts Resistant to sag, run-off and flow. High resistivity and insulating properties, effectively prevents galvanic corrosion between dissimilar metals. 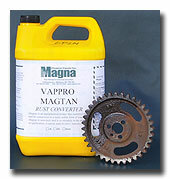 VAPPRO 872 will free any part frozen by rust, corrosion, scale, paint, varnish, carbon or gum - and is amazingly fast acting! VAPPRO 999 is also a high-temperature anti-friction bearing lubricant that functions in high-speed use to 450º F. From 600º F through 2100º F, it functions as a dry-film lubricant for heavy load and slow speed use - such as in slides or slow-revolution equipment, with the molybdenum actually plaiting out to prevent metal-to-metal contact and surface scuffing. Vappro 811G has no known adverse effect on human skin, paints, wood, plastics, ceramics or rubber when used as recommended - it is essentially non-toxic, non-corrosive and non-flammable. Its mild odour properties make it ideal for both in-plant and outdoor applications. VAPPRO 844 has been hailed as a technical breakthrough in corrosion control - a revolutionary corrosion inhibitor, that inhibits ferrous metals against corrosion in seawater. Vappro 844 protects metals in sea water with salinity up to 3.5% and with chloride content up to 19,000 ppm. It eliminates the dependence of using fresh water for hydrotesting of storage tanks and piping systems. VAPPRO 850 Engine Guard is a vapor corrosion inhibitor concentrate, which offers excellent corrosion protection for the interior surfaces of engines, gearboxes, hydraulic systems and other lubricated equipment. During downtime periods or while equipment is being preserved, VAPPRO 850 Engine Guard's vapor action will protect areas where the oil has been drained away. VAPPRO 818 ARM-KLEEN is a revolutionary cleaning and anti-corrosion agent, which removes carbon, and light corrosion deposits while leaving behind a thin film of corrosion inhibitor that passivates weapons from corrosion. Vappro 818 Arm-Kleen is an ozone and environmentally friendly cleaning agent. It enhances the operations-readiness of weapons, by providing optimum protection from corrosion. 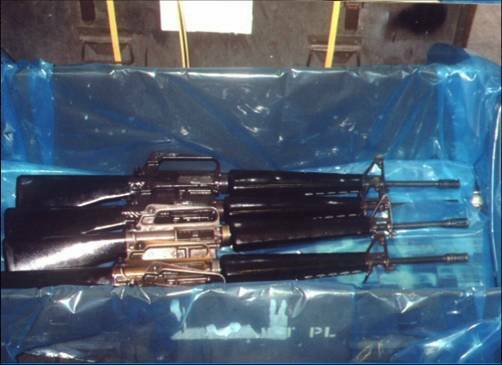 Vappro 818 Arm-Kleen was specially developed for the cleaning of small arms, automatic weapons, naval and aircraft weapons, before and after firing. VAPPRO 819 ARM-GUARD is a light brown thixotropic liquid with VCI corrosion inhibitors and oil based or solvent based carriers. The residual film, after solvent evaporation, is highly resistant to salt water and salt spray. This makes Vappro 819 Arm-Guard particularly useful in military, marine, industrial, and off-shore rust proofing applications. Vappro 819 Arm-Guard provides optimal corrosion protection for up to 10 years, for long term storage of small arms. Vappro VCI 804 is recommended for the arrest and prevention of rust in ships' ballast tanks, voids, cofferdams, chain lockers, barge brakes and other equipment where spraying, painting and flotation methods are used. Installation requires simply inserting a length of VAPPRO 890 Pipe Strip inside a pipe or tube, which is then capped. Within hours, the VCI vapours from the pipe strip saturate the enclosed space. In the presence of water vapour, the VCI vapours passivate the metal surface, thus arresting the process of corrosion. Tropical Garden's flower and fruit fragrance is gentle but lingering. It is economical and great for use as a bathroom deodourizer, in vehicles, Hotel and Motel rooms, busi-ness offices, hospital rooms - anywhere there are stubborn unpleasant odours or stale air. The result is a product that combines maximum degreasing effectiveness with minimum hazard - and one with anti-corrosion properties. M-106 is non-explosive can be heated without danger. It is absolutely free from fire-risk under all practical conditions. Clean fuel-oil burners, concrete floors, ramps, and runways, exhaust fans inside and out, hoods, cooking equipment, deep fryers, vehicles interiors, R.V. 's., boats and more! Use Decarb for Tools, Parts and Machinery that have heavy coatings of oil and dirt. It's great for fuel-oil spills, walls, fuel-oil burners and concrete surfaces. Decarb effectively cleans exhaust fans, cooking equipment and deep fryers. It's excellent for vehicle interiors, transports, R.Vs. and boats. Decarb works great to remove asphalt, tree sap, grease, oil, bugs and diesel soot from exhaust stacks, and is an excellent engine shampoo. It removes stains on walls, floors, ceramics, appliances, vinyl, leathers, plastics, blinds, enamels, brass and much more. MAGNA CITRA-SOLV is a highly concentrated solvent cleaner and degreaser that is widely used in a variety of industries including mining, road paving, automotive, shipyards, oil rigs, machine shops and for industrial cleaning applications. Citra-Solv is commonly used to clean heavy-duty equipment, engine parts, blocks and other related components. 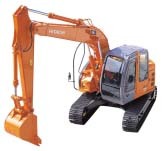 It is also extensively used in Parts Degreaser Machines. Citra-Solv is a highly concentrated solvent degreaser that penetrates into the most stubborn grease, oil and stains. It works great to remove asphalt from equipment, either by spraying or wiping. You can completely immerse engine parts into Citra Solv for efficient cleaning of the most heavily soiled components. Grime Buster safely and effectively removes grease & oil, printer's ink, rubber cement, dirt & grime, shoe polish, cosmetics, carbon, lipstick, adhesives, paint, dyes, tar & asphalt, graphite, shellac, and much more! Magna Aluminum Cleaner & Brightener penetrates quickly through oxides, road film and diesel smoke deposits, to dissolve and emulsify them so that they can be rinsed away. 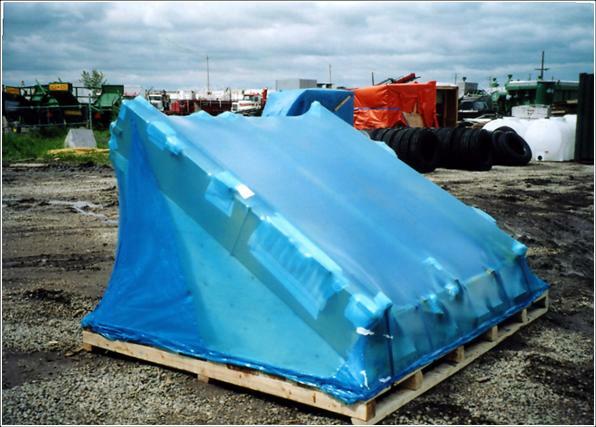 Rinse agents provide a "sheeting" action for film-free rinsing. Cleaned surfaces dry streak-free. MAGNA BIOZYMES 1020 Mold & Mildew Stain Eliminator consists of a specially selected synergistic enzymatic blend, that provides exceptional cleaning performance over a wide range of organic waste related applications - including mold and mildew stains and odour. This cleaner is a microbial product consisting of a special blend of enzyme-producing microbes designed to provide an effective and powerful "automatic" drain opener, and to do it in an environmentally responsible manner. 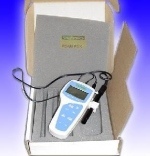 Biozymes 1030 is safe to use in almost any situation and is easy to apply. Because of the active microbes that search out and digest organic matter, this cleaner will go to the source of the problem - and will literally eat away at the organic matter until it is completely dissolved. It gets right to the root of your odour problem - the build-up of "bad" bacteria. Magna researchers have selectively adopted spores and vegetative micro-organisms for their exceptional ability to accelerate the breakdown of difficult-to-degrade organic compounds in aerobic and anaerobic environments. These micro-organisms are then blended, based on each strain's superior enzymatic activity against various substrates such as fats, oils, grease, protein, starch, and carbohydrates. Used alone or in conjunction with Magna's other bioremediation products, Biozymes 1080 shortens clean-up times, increases contaminant bioavailability and initiates biodegradation. The next generation of high performing, environmentally safe - and fireproof - hydraulic fluids has arrived! Our Enviro Hydro-Lube Hydraulic Fluids consist of a three component mixture of water, glycol and water-soluble poly-glycol. The fourth component is Magna's special additive package designed to provide corrosion protection, metal passivation, anti-wear and lubrication properties. Enviro Hydro-Lube has passed rigorous testing and is currently being used in major industrial applications around the world. What are the Benefits of Enviro Hydro-Lube? 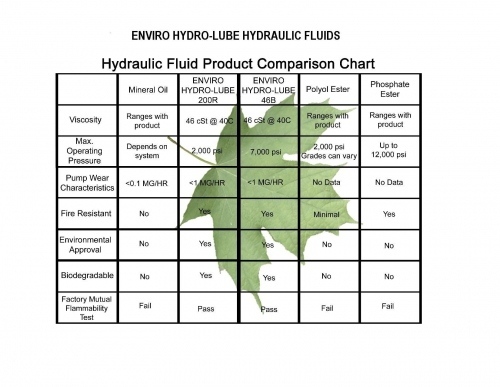 Where Can Enviro Hydro-Lube be Applied? Click on the image below to watch a 5 minute video describing these exciting new products from Magna Chemical. Please note: If you experience stops-and-starts in the playback of the video, due to your computer's download speed, restart the playback by dragging the Play-Bar back to its start position.